Every year Toomey Audio Visual exhibits at the IPPN Annual Principals’ conference. 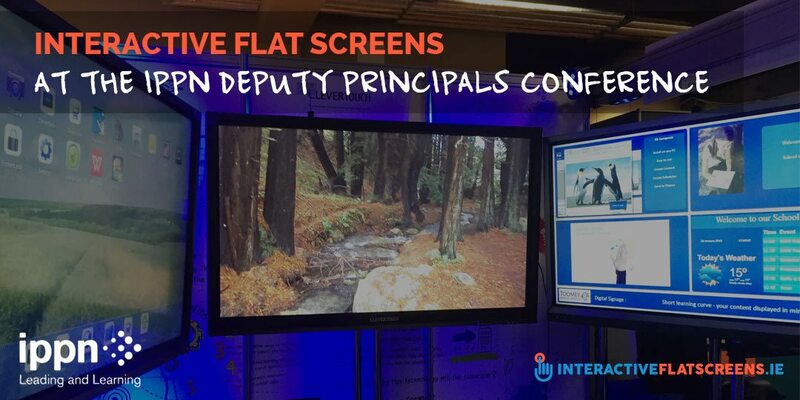 Due to the overwhelming demand for our CLEVERTOUCH range of Interactive Flat Screens that we are experiencing at present, we are delighted to confirm our attendance at the IPPN Deputy Principals’ Conference on the 19th & 20th May 2016, at Citywest Hotel, Dublin. At the IPPN Deput Principal’s conference you’ll be able to try out the Clevertouch PLUS Interactive Flatscreen (IFS), discover the unique benefits of IFS with the inbuilt Android platform and enjoy intuitive design and engineering at its very best. You’ll also have a chance to meet Jack Wilson, an interactive flat screen specialist who will demonstrate the features and benefits of CLEVERTOUCH in the classroom. 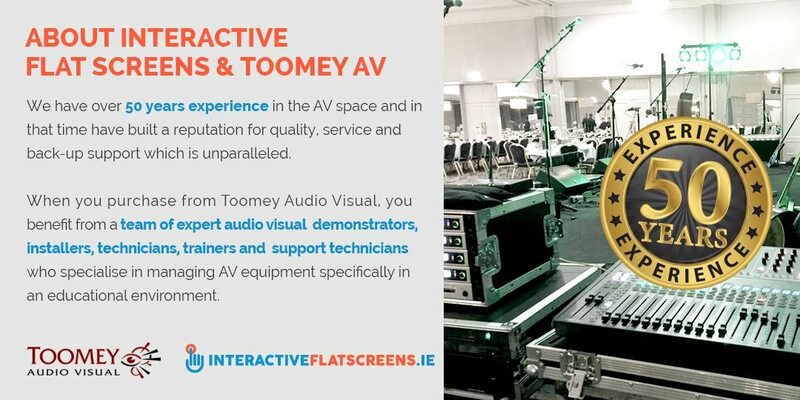 Toomey AV has been supplying Irish schools with audio visual equipment for almost 50 years and now with this new site we’re focusing on Interactive Flat Screens. In that 50 year period, we have built a reputation for quality, service and back-up support which is unparalleled. When you purchase from Toomey Audio Visual, you benefit from a team of expert audio visual demonstrators, installers, technicians, trainers and support technicians who specialise in managing AV equipment specifically in an educational environment. 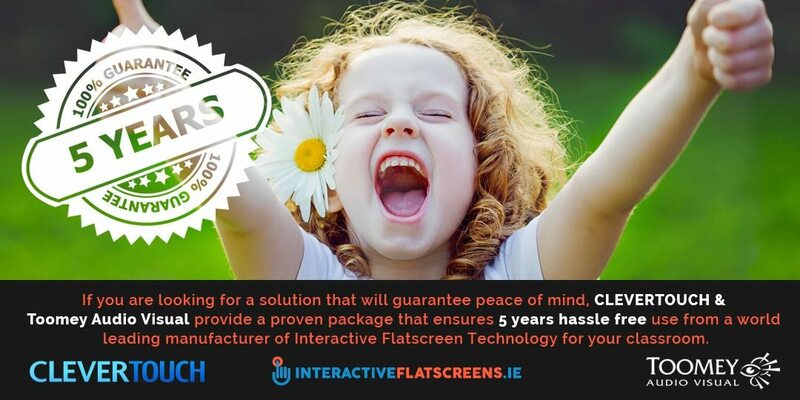 If you are looking for a solution that will guarantee peace of mind, CLEVERTOUCH & Toomey Audio Visual provide a proven package that ensures 5 years hassle free use from a world leading manufacturer of Interactive Flatscreen Technology for the classroom. Since 2006, Toomey AV have blazed a trail in the area of ICT technology & back up support & service across Ireland. If you want to say goodbye to projector maintenance and have had enough of replacement lamps and clogged filters, call by our stand at the IPPN Deputy Principals’ conference and say hello or call us anytime on 01 4660515 or online!